What Twitter Moments and Facebook “Instant Ads" Mean for Brand Strategy. Major changes have come to Facebook and Twitter recently. What will they mean for your brand? Facebook and Twitter both made significant changes in recent weeks. Twitter unveiled what Wired called the network’s “most important new feature ever” in the form of Moments. On top of this, rumors began to circulate about a possible change that would alter Twitter even more, for both users and brands. Each of these updates will have a significant impact on brand presences on these networks. If you look at them all together, they point to a bigger shift for social networks—one which will force a strategic change in approach on the part of social brands. Here’s a look at the changes and what they mean for brand strategy on social. Moments rolled out in the US recently and will soon be global. Available on desktop and mobile, Moments could be described as Twitter re-organized. It’s a curated feed, or set of feeds, around different verticals (politics, news, sports, entertainment, etc.) with a set of different events for each vertical. Each moment is roughly equivalent to a trending topic, something like Back to the Future Day, and when you click through, you see a curated selection of Tweets around a specific topic, with full-screen images and video for most. Right now, everything is curated by Twitter or a few publishing partners like Buzzfeed. Eventually, the idea is that all users will be able to curate their own Moments. Brand Moments will also be available to advertisers. Brands will be able to purchase their own Moments (rather than just featured tweets in other Moments) around live events. Branded Moments will be around for 24 hours, and can be updated throughout. Though some Moments are created by publishers like Buzzfeed, it doesn’t look like Brand Moments will be tied to publishers like ads on Snapchat Discovery are. Here’s what the first promoted Moment, for the movie Creed, looks. For Twitter, Moments are the solution to one of the company’s key issues: how to improve engagement for people who don’t “get” Twitter immediately after signing up. Some are predicting that it will completely change how people use Twitter—Wired said “from now on, for most people, Moments is Twitter.” If so, sponsored Moments may become a key part of brands’ Twitter strategy and social strategy in general. Beyond Moments, there are rumors that an even bigger change is in the works for Twitter. Several outlets reported that the network is considering dropping the 140 character limit that has been the network’s defining feature from a user perspective. Some said they might just stop counting characters in links, handles, or image links as part of the 140 character limit. Others, though, said the limit would end completely. Even if the change isn’t likely to happen immediately, brands should be aware that it may be in the cards. If it does, Twitter could introduce new ad formats, and the change might alter the tone and the content of the network so much that brands would have to rethink what kind of messages work for them there. Facebook recently began testing a dedicated video feed in the Facebook app. It’s essentially a News Feed for videos: It has videos published by friends and pages you like, as well as any videos you’ve saved. When you watch a video, Facebook also suggests other related videos for you to watch, not necessarily from pages you like or friends. You’ll also be able to drag videos out of the video tab, and have them play in miniature in the foreground as you scroll through other posts. After the swift rise of Facebook as a place for video sharing and discovery, this is a next logical step. It’s not wrong to point out that this puts them in more direct competition with Alphabet’s Youtube. Based on the video, it looks like brands will have a few ways to reach audiences in the new tab. Fans will see videos that brands have published in their video tabs. Companies will also be able to sponsor “related video” content appearing underneath videos users watch. And, presumably, this will include content from key creators that involves sponsored pre-roll ads. Facebook also announced that some users now have access to new test section for shopping. This section pulls content from the retailers that are already working to create in-page shopping experiences with Facebook’s canvas. Products will be shown to users based on the pages they like. For retailers, specifically those that have managed to build a loyal social following, the shopping section may represent an important avenue for reaching fans, and eventually a strong revenue source. Facebook’s 1.5 billion users will now have a dedicated space to browse products—exposing your brand to them when they are specifically looking to shop. The final new feature the network unveiled: “Instant ads.” That’s not what Facebook is officially calling them—it’s either “Immersive ads” or “ads canvas,” but as Techcrunch’s Josh Constine noted, they very closely resemble Instant Articles, the new format for publisher content on the network. Facebook designed both hoping to create a rich content experience for mobile with a fast load time. This one just aims to deliver ads instead of articles. An “Instant Ad” ran recently that recreated the key components of Wendy’s hamburgers in mobile form. What does it add up to for marketing? 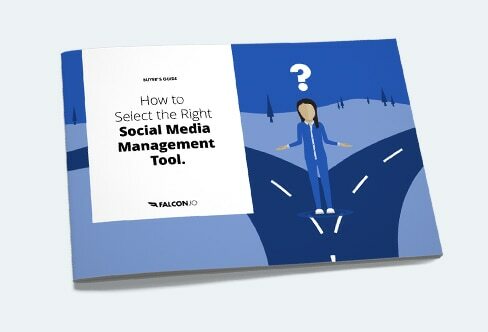 Facebook, Twitter, and the other major social networks continue to evolve, and marketing strategies have to evolve with them or risk losing effectiveness. These features will likely evolve too, and more brands will have the ability to use them to reach their prospects and customers. Beyond figuring out how they’ll work individually, marketing leaders would be wise to look at how they fit together, what they mean in terms of the direction these networks are heading, and how it will affect their brand’s ability to reach their customers. These updates, like so much of the changes that come to social networks, aim to increase user engagement. They will make Twitter and Facebook even more content-rich, and brands will have an even greater chance to connect with their audiences using great content…along with more competition. But like many other recent releases, the goal is not just to get users to spend time with content, but to get them to spend time with content within the networks themselves. Like the push towards native video on Facebook and Twitter, the wider roll out of social media buy buttons, and the introduction of Instant Articles on Facebook, these changes avoid pointing users away from networks, enclosing more types of content and activities within the walls of the app. There’s a number of factors behind all of this—including the rise of mobile, concerns with user experience and loading times on it, and the general uptick in the amount of content available to people. These trends will only continue, so companies will have to learn to adjust their strategies and content to work with them. Using tools that networks create (like Instant Ads) won’t be enough—brands will need to approach marketing differently to succeed in this environment. Driving traffic from Facebook to another website, or asking people to click your Twitter link to get content, will continue to be viable for a while. But gradually, if Twitter Moments become central to the network and the 140 character limit is removed to allow a greater range of content, and if Facebook makes a push on stores and suggested video, then sending people to an outside site or app could cease to be the norm. “Instant Ads”—which are clearly meant to be experienced on Facebook—are another major step in this direction. It’s not hard to see Twitter and other networks coming up with a similar feature, nor is it implausible that those networks could incentivize ads like it—ads that keep users from heading to an outside site or app. It’s becoming clear that brands are going to need to learn how to work within the architecture that social networks have created, rather than sending them from social spaces to their own channels. Something similar is already underway for publishers on Facebook. Media companies that relied heavily on the traffic Facebook had driven to their sites, against which they sold ads, had to adjust quickly to the introduction of Instant Articles. Instant Articles can also include ads, which publishers are paid for. They’re a way to engage readers with interactive or immersive content that loads quickly. Facebook has over a billion active monthly active mobile users. In other words, there’s a lot of potential upside for media companies. At the same time, they’ve been a source of serious anxiety for publishers. Numerous reasons have been listed for this, but most could be boiled down to the idea that eyeballs on content in someone else’s space are not the same as eyeballs on content in yours— if you don’t control the entire environment the way you do on your own site or app, you risk losing brand distinctiveness and it could prove harder to turn a one-time reader into a loyal subscriber. These worries, well-founded or not, should be instructive to brands. Soon, companies will have to gear their content or ads to work without directing people off social networks. They’ll be selling directly on social networks more often. This may be a better user experience for the billion-plus mobile members of these networks. However, while a good user experience is necessary for a good customer experience, it doesn’t guarantee one. Brands will need to find ways to ensure that they can create a strong impression and connect with their customers in this context—creating content that truly stands out, having a distinct brand voice, and producing engaging, unique visuals would be a start. It may be a challenge, but if marketing messages are good enough, they’ll be heard, no matter what environment they’re in.